Are you ready to sell your home? Do you want to sell your home? Do you need to sell your home? If you answered yes, to any of these questions we can help you! With a team of eight full time agents and staff that has accumulated over 100 years of experience in Real Estate we’re here with the knowledge of the local market to help you with the successful sale of your home. We can help you determine the value of your home and be there every step of the way until closing. Your home will be advertised in both traditional print media and online using websites and social media, anything to get your home sold! Put success on your side and give the Buff Team a call! 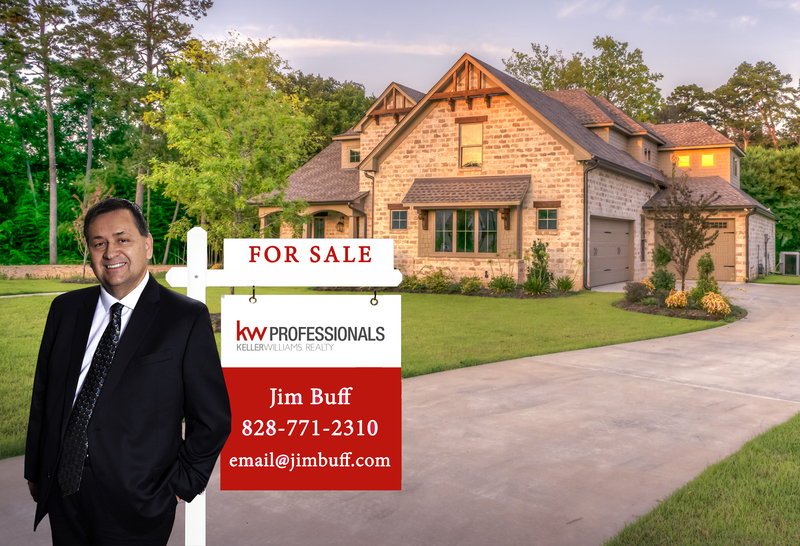 Why Sellers Choose The Jim Buff Team – Why home sellers in Buncombe County, Henderson County, Madison County and Asheville choose The Jim Buff Team. Free Presentation – Free in-home listings presentation on marketing your Buncombe County, Henderson County, Madison County and Asheville, in Buncombe County North Carolina property. Property Valuation – How much is your Buncombe County, Henderson County, Madison County and Asheville home worth? What Did That Home Sell For? – What did that Buncombe County, Henderson County, Madison County and Asheville, North Carolina property or other real estate sell for? FSBO – Selling your Buncombe County, Henderson County, Madison County and Asheville real estate on your own?